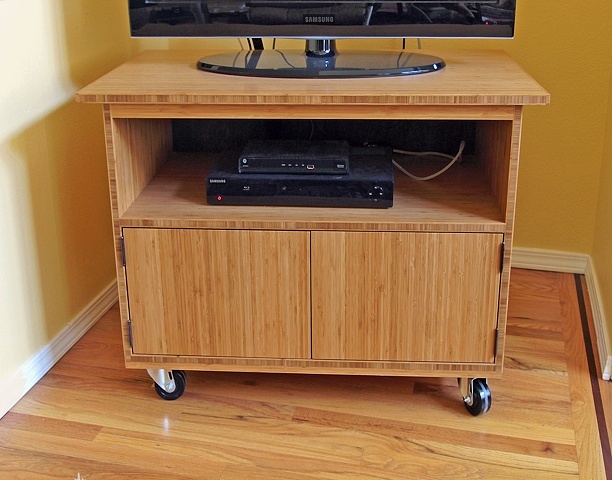 Bamboo plywood rolling TV cabinet with a clean modern look. It stands on casters for ease of movement on the wood floor and has two storage doors with magnetic touch latch hardware. There's also an open shelf for addition audio visual equipment.